This matter is before the court on administrative review of an order by the Illinois Commerce Commission (Commission) granting a certificate of public convenience andnecessity to Rock Island Clean Line, LLC (Rock Island), for construction of a high voltageelectric transmission line between OBrien County, Iowa, and a converter station adjacent to a Commonwealth Edison Company (ComEd) substation in Grundy County, Illinois. 1. 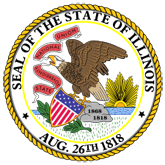 Illinois Landowners Alliance, NFP v. Illinois Commerce Commn, 2017 IL 121302 (121302.pdf).